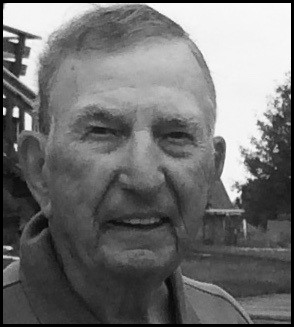 Rodney M. Radford – Peterson Mortuary, Inc.
Rodney Max Radford, 89 of Glenwood, Iowa passed away March 23, 2019 at his home in rural Glenwood. He was born on June 14, 1929 in Glenwood, Iowa to George and Winnie (McDole) Radford. Rodney graduated from Glenwood High School in 1947 and was honored his senior year to be Homecoming King. Rodney was united in marriage to Betty Louise Jones on January 25, 1953 in Malvern, Iowa. To this union three sons were born, Rodney, Jr., Randall and Reginald. Following high school, he was employed with the Corp of Engineers. He then became a line foreman for Iowa Power and Light which is now Mid-American Energy. Rodney was a member of the Army National Guard for 35 years. He was also a member of Lions Club, Fraternal Order of Eagles, and 62-year member of I.B.E.W. Some of Rodney’s passions were gardening, traveling, fishing, bowling, and building bird houses. He was a devout Hawkeye and Kansas City Chiefs fan. Rodney was a true family man in every sense of the word. Preceding Rodney in passing were his parents, wife Betty in 2006; siblings, Duane, Charlie, Harold, Freda, Betty and Wanda. Survivors include his sons, Rodney Max Radford, Jr. (Becky) of Glenwood, Iowa; Randall (Sheri) Radford of Arvada, Colorado; Reginald Radford of Glenwood, Iowa; 4 grandchildren; 7 great-grandchildren; 2 great-great grandchildren; extended relatives and many friends. In lieu of flowers, memorials may be directed to Glenwood Fire and Rescue. Interment, Glenwood Cemetery, Glenwood, Iowa. I am very sorry to hear of Great Uncle Rodney’s passing. I always enjoy the Radford Reunions. Rest In Peace Uncle Rodney. Max, Randy and Reg, sorry to hear about your Dad. Remember the good times growing up with your family going to the power company clinic’s and going out to eat fish. Never forget the time Reg and I got in trouble for throwing tomatoes at passing trucks! My dad always respected Rod. I’m very sorry to hear about Rodney’s passing. He was a great man from a great family. My thoughts and prayers for those grieving. Very sorry to hear of Mr. Radfords passing. Our Hearts and Prayers are with the Family as Rodney is now walking with the Good Lord in the Garden of Heaven. Our sympathies to Max, Becky, Reggie, Randy, Sheri and the rest of the family. Rodney was a great neighbor…always willing to help us over the years. The love of family was evident by all of you for caring for him especially in his last several years. May you all be comforted knowing Rodney is at peace with his lovely Betty and Our Savior Jesus Christ. Max, Randy & Reg, so sorry to hear about Rodney’s passing, seems like yesterday when your dad used to pick your mother up from work when she didn’t drive! !, i always enjoyed visiting with your dad. They were good people & I was glad to have known them! !